How to spot these 5 symptoms of a failing blog - and fix them! How to spot these 5 symptoms of a failing blog – and fix them! With phrases like “content is king”, it’s easy to think that churning out content is the best way to save a failing blog. After all, if you build it, they will come, right? Nope. Not in the world of blogging. More content doesn’t always equal more traffic. You need to give visitors a reason to visit your content, otherwise you’re going to end up with a very sickly blog indeed. And when that happens, some 95% of people stop blogging. They assume blogging is a waste of time. Nothing could be further from the truth. In fact, it’s still really important to start or have a blog in 2017, moving into 2018. 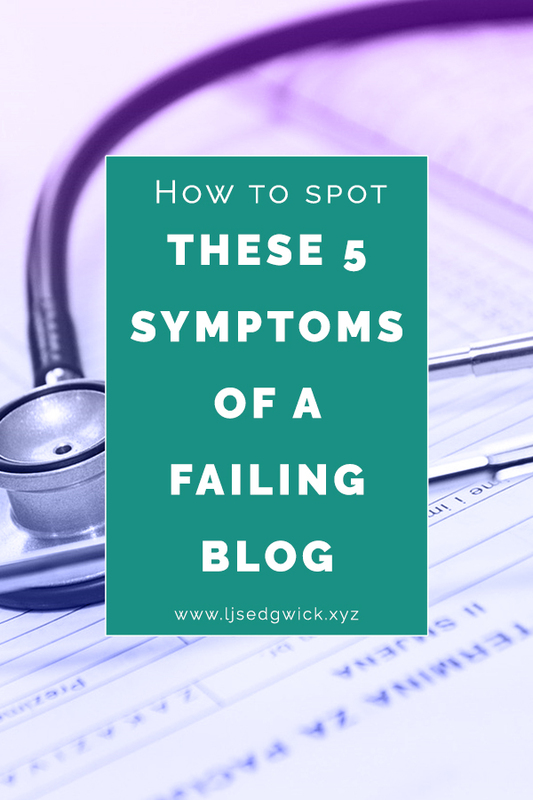 So if you suspect your blog might be ill, see if you can spot these 5 symptoms. With early intervention, your blog can be saved! Back in the early days of blogs, there wasn’t as much competition for attention. And blogs still had a degree of novelty value. So you could post the so-called ‘wall of text’ and readers would still read it. But readers have a lot more demands on their time now. And there are a lot more blogs – and therefore more competition. If a visitor lands on your blog and finds an impenetrable wall of text, they’re likely to stop reading after a couple of paragraphs. Reading on screens is hard on the eyes. And comprehension is still much better when we read content on paper. So posts need to be scannable. Use headers to break up content. Readers can decide for themselves what sections they need to read, and which sections they can skip. Believe me, you’d rather your reader skips around within your content, rather than skipping to a whole different site. Or just use images. GIFs are great, depending on your audience. I write for tech and software companies so I might use science fiction or tech GIFs. Like this one. Bullet points are useful for giving short bursts for information, or providing checklists. Images and infographics can also get across your point far more quickly. So look at one of your current blog posts. The content itself might be fine – but if visitors can’t read it properly, then they won’t get the best out of it. Work out where you can add headings to guide the reader through the content. You can use headings like I have here, to indicate a change of topic. Think of them like mini chapter headings. I’m my own case study here. When I started this blog, I’ll be honest – I didn’t know what to share on it. Now, I knew how to blog – I’ve been doing it since 2009. And I’ve been ghostblogging long enough to know how to write posts. I just didn’t know what kind of posts needed to be on here. So if you look back at the earlier posts, they ping about around digital marketing, social media, storytelling, and copywriting. It’s not a million types of content, but it wasn’t as focused as it should have been. But why does it need to be focused? Pretty simple. Say a visitor comes to your blog and enjoys the post they found on Twitter. You’d written about 6 hidden features of Photoshop to save time when editing photographs. They love it. It’s exactly what they needed. But then the reader clicks onto the previous post, and it’s a post about an appearance you’ll be making at a local trade show. And the one before that was about a brilliant video you watched on Youtube the day before. Are they likely to subscribe to your email list? Or come back to your blog? Sure, they might use your fancy category dropdown. And maybe they’ll use your search bar. But they want to know there’s essentially “more of the same” elsewhere on your blog. 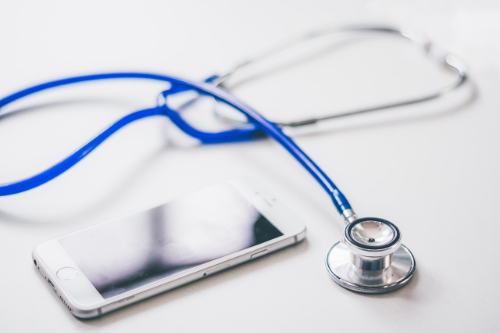 Diagnose problems with your blog. So in the example of my content. 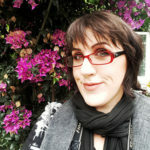 I wouldn’t call it a failing blog – but I knew I needed to change something. So I got strategic. I worked out who I wanted to help, and I planned an editorial calendar. I focused on themes I wanted to cover. It’s helped me to work out what value I want to provide – and what I want to help you with. All in a logical order. If you’d like help creating your editorial calendar, drop me a line! It’s one thing showing how much you know about your subject. But it’s another thing confusing visitors to your site. And I get it. If you make software, you want to speak to the people who use it. So you should use technical terms, right? Scrivener are a good example. Their writing software is pretty much industry standard among authors. And their blog features short tutorials on using specific features. But the terminology relates to the tools a user needs. It doesn’t bamboozle them with science. And nor should you. For a great example of a conversational, friendly blog, check out Wunderlist. Their style is one of many reasons why I signed up for their to-do list app! (That’s not an affiliate link, by the way. I just think they’re ace). 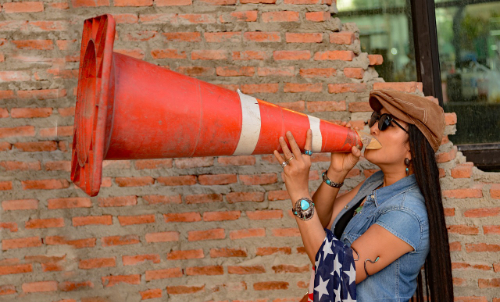 A failing blog uses jargon; a healthy blog talks to its users as trusted friends. A lot of companies still use their blogs as a place to host their news updates. And I know why you’d do that. You’ve won an award. You’ve hired new staff. Awards show credibility and authority in your niche. And new staff prove you’re willing to invest in your brand – which should give a better experience for users. But ask yourself; if you came to that blog as a first time visitor, what would you think? You wouldn’t care. You don’t know who the company are, so why would you be interested in their new hires? If you haven’t used their software, you’re probably baffled by the new features. Humans are inherently selfish, and “What’s in it for me?” seems to be the phrase of the 21st century. So if you focus on yourself, you might end up with a failing blog. I agree it’s definitely important to keep updates on your blog. The company behind OmniFocus use their blog to announces new updates to their software, or forthcoming features. It’s great for existing customers who want to keep up with the software they love. But try to balance it with stuff for your visitors. What problems can you solve for them? Or how can you entertain them? Remember, being entertained is still a definite benefit for a reader. You can even include content like ‘a day in the life of…’ to show visitors what it’s like behind-the-scenes. The value lies in the way you draw back the curtain. Plus, it humanises your company. People like to buy from people, not companies. If you wanted to advertise the juiciest beefburgers in town, would you put your posters in a vegan restaurant? You’d put them in the places where your ideal customer might shop. And your blog is no different. Your marketing strategy should have already identified where your target audience hangs out. And that’s where you need to promote your content. You might have already guessed that I don’t just mean social media. How about internet forums? Other blogs? Hell, you can offer your content as a guest post on a blog that your target audience reads. But you also need to make your content shareable! If I land on a blog post and I can’t find share buttons, then often I just won’t share it. If your blog is on WordPress, plugins like SumoMe make it really easy to add nice sharing buttons. You might want to experiment with the best place for the social share icons. But at least readers can now share your content – and help promote it for you. So as you can see, a failing blog could be due to a range of factors. But hopefully one – or all – of these symptoms can be easily fixed. And your failing blog can make a full recovery! But it’s obviously a big topic, and if you’d like a blog audit, then drop me a line! We’ll get that blog back to full health.